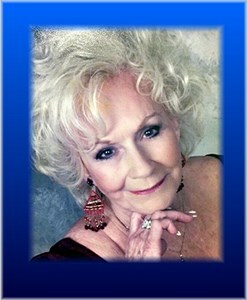 Eva Brooks “Nan” Rhea, age 93 of Largo, Florida passed away on Thursday, February 7, 2019. She was born January 28, 1926 in Pennington Gap, VA., where she attended school and eventually married her first husband, the late Les Pennington. She and Les moved to Louisville where she raised her family and worked at GE as an inspector. After Les passed away, Nan married Phillip Rhea and they moved to Largo, Florida. Phil passed away in 2009. Nan was also preceded in death by her daughter, Karen Pennington; siblings, Charles Brooks, Edward Brooks, John Brooks, Mary Brooks Toole, Enos Brooks; and her great-grandson, Drew Hutchings. Nan is survived by her grandchildren, Randy Hutchings (Cheryl), Michael Bohart; great-grandchildren, Ryan Hutchings, Tyler Bohart, Kaylee Bohart, Acyen Bohart and Bodee Bohart; great-great granddaughter, Elizabeth Paige Hutchings; siblings, Edmond (Evelyn), Clarence “Buck” (Bernetta) and Vernon Brooks (Linda) and Naomi Fowler (John); many nieces and nephews, including Sherri Brooks and William Moore; beloved 4 legged child, Coco; and a host of relatives and friends. Visitation will be 5 to 7 pm Wednesday, February 13, 2019 at Newcomer Cremations, Funerals and Receptions, East Louisville Chapel, 235 Juneau Drive in Middletown. Private burial will follow in Cecil-Fry Cemetery in Pennington Gap, Virginia. Memorials may be made Hosparus. To leave a special message for the family, please use the "Share Memories" button. Add your memories to the guest book of Eva Rhea. I was introduce to Eva by my mother in 2014. They were friends. When my mother died, on February 7, 2015, Joe and I moved to grosse point in 2017. I started making friends with Eva. I would walk Coca and take Eva to the Doctors. I’ll miss her chats and going to lunch with her. She was a young 90 year old. We even had manicures. My Sister, best friend and confidant. I will miss our everyday conversations, sharing, laughter, and all our past and present memories. All of these will live on in my sweet memories of you. What precious times we have always loved and shared! Rest In Peace Sister until we all meet again. Your Sister, Naomi Fowler. I will never forget the love that Eva and Les gave me. They treated me like a daughter, and I felt they were my second set of parents. Karen and I were best friends throughout our lives and spent most weekends at her house or mine. They even took me to Florida with them in 1960. I feel so blessed to have been part of their lives, and will miss the sweet sound of Eva's voice. Praying the Lord will give you comfort as only He can.